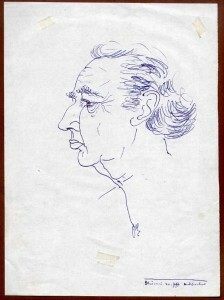 One of Dhimitër Shuteriqi’s passions was drawing. 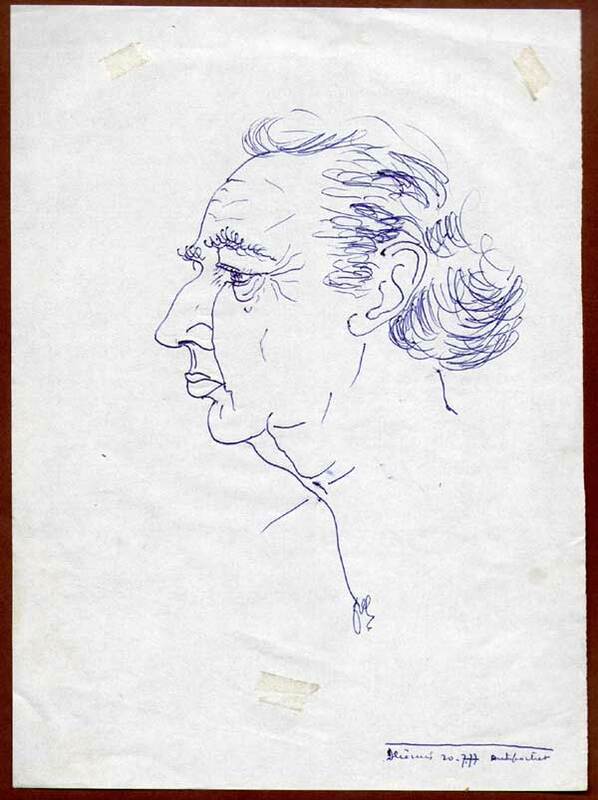 He leaves with us around 500 drawings, mostly portraits. The Albanian public had the opportunity to appreciate this legacy in the last years’ of Dhimitër Shuteriqi’s life in two exhibitions, the first at the Art Gallery of Tirana and the second at the Gallery of Pristina. In both exhibitions his drawings were noted for their elegant and modern lines, skillful styles and breadth of characters depicted in them. Dhimitër Shuteriqi drew well-known figures of the arts and sciences, individuals of various social backgrounds and characteristic faces of various regions of Albania. Click here to see some drawings from Dhimitër Shuteriqi.